Bring your best indoor spaces outside. 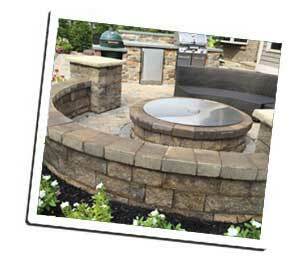 Use the AB Courtyard Collection - building blocks for the great outdoors to build just about anyting. This simple interlocking post and panel system adds architecture and style to your landscape. From a simple backyard getaway to an elaborate patio – you can build it easily with AB Courtyard. Use the menu above to check out all of the information we have on building just about anything with AB Courtyard. From basic building tips on how to build a patio wall or post/pillar to complete projects like outdoor rooms, kitchens, ponds, fire pits and more. 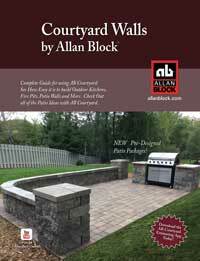 Design & estimate your perfect courtyard patio with this useful tool from Allan Block.Take your simple backyard and transform your space by adding walls with corners,posts, curves and more. Download Now. Get a full estimate with detailed drawings for Free using the AB Courtyard App. Download your copy today!